Haven of Relaxation: Meditations for Sleep, Relaxation, Healing, Manage Stress, Prepare for Surgery, Pain Management - Where Is The Light ? It has been a long time since I wrote a full scale newsletter. especially during the bittersweetness of the holidays ! So when you want to reconnect with your inner light, grab your favorite cup of tea and take some time to explore this guide that offers many links to audios and videos to experience and savor this holiday season and beyond. The holidays are a bittersweet time of year for many of us--In the midst of the delightful celebrative energy we may be deeply aware of loss and grief. A meditation practice helps to stay connected to our spirit and continue to heal the parts of ourselves that find it hard to see the light. It offers a way to reconnect with the enchantment for which our soul yearns. It is in this place that we are reminded of all the resources we have within us. Gratitude. This is a "channel" that when I tune in, I reconnect with all the good in my life; especially the loved ones who are or have been a part of my life. My meditation video on gratitude includes several quotes and reflections--written to be a reminder of the mystical moments that mindfulness brings to our daily experience. "Gratitude unlocks the fullness of life. It turns what we have into enough, and more. "Gratitude transforms the torment of memory of good things now gone into silent joy. Creativity. A wise woman once encouraged me to remember to be my own grandmother. That advice has been an especially helpful lens through which to inspire my inner child and her creativity. .
Carlos Nakai's " Winter Dreams,"
all fill me in a very powerful way. or creating a meaningful gift. When we are fully present in our creativity, we are in the flow; in the moment, in enchantment. ​SoulCollage® is a brilliant way to more clearly see the many aspects of ourselves and treasure their wisdom. By creating SoulCollage®cards, we are delighting our creative muse; searching for images, cutting and pasting and creating with ease. This is a practice anyone can do. Nature. Seeing the sun through the trees, the fall colors, breathing in the smell of cool autumn air, the red and gold tree-lined country roads, the wavy, windy ocean, the moon and stars in the cold night sky---these are some of the entries on my list.....what are yours? "Nature's peace will flow into you as sunshine flows into trees. The winds will blow their own freshness into you, and the storms their energy, while cares will drop off like autumn leaves. As age comes on, one source of enjoyment after another is closed, but Nature's sources never fail.​"
​into the peace that Divine Mother/Father embodies within me. It is my refuge; especially now. "There is a part of you that is Love itself, and that is what we must fall into. It is already there. Once you move your identity to that level of deep inner contentment, you will realize you are drawing upon a Life that is much larger than your own and from a deeper abundance." These are the resources that are inspiring my life and the writing of my meditation scripts. 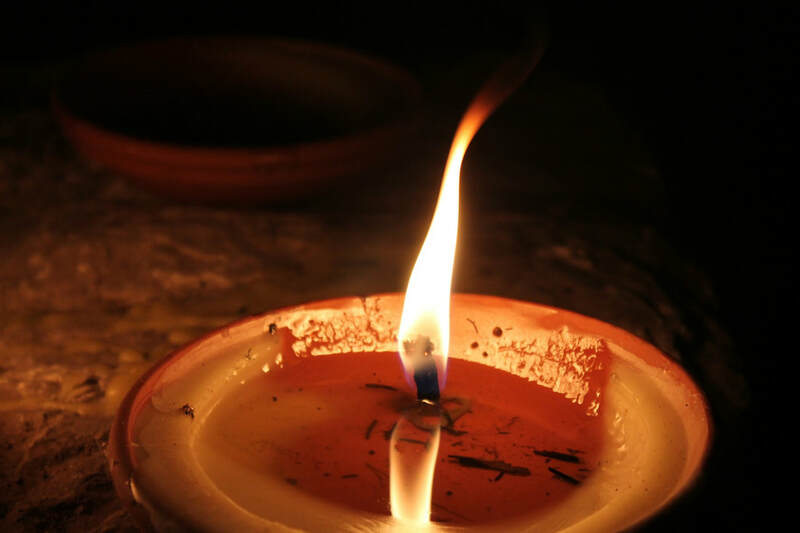 Sometimes it takes great courage to choose this path, but it is in the place of darkness that we are often most receptive and able to discern the brilliance of the light that comes. It may be in the form of an insight, an encounter with a fellow human being, the face of a child, a miracle, some good news, or simply the whisperings of our own inner wise one. Sometimes I find myself looking for the light and then remember, once again that it never left me. ​ I love the line from folk song artist Peter Mayer's song Where is the Light? "Where is the light?--Oh the light's inside of me!" "This little light of mine--I'm gonnna let it shine. This little light of mine. ​I''m gonna let it shine, let it shine, let it shine let it shine!" captivate us, feed us, remind us and inspire us. ​with the light and enchantment already within us. To brighten my life, each week I love seeing the newest Youtube video posted from tiny singer Claire Ryan and her family who are living and singing in the light. I cherish receiving this gift from an old soul embodied in a now 5 year old little girl and the loving connection that she and her family nurture. It is a cool sunny morning and I am celebrating the recent birth of another granddaughter. There is so much joy in knowing she arrived safely and that her family is well. Juxtaposed with all of the harsh realities of the world, a new baby is a powerful reminder of all that is good, all that brings hope, the power of love and the awesome miracle of life. I have been cocooned in my home here in New Bern, NC where my husband and I get to enjoy the beauty of the coast, the rivers and the wildlife. ​Most of this year, I have been recovering from health challenges as well as writing and recording meditations. I continue to see clients in person and virtually, and am deeply fulfilled and grateful to be a part of the healing process in my life and the lives of others. With the support and encouragement of my husband, I now have a new computer and recording system that offers better technical quality. Since we no longer live in Raleigh under the flight path of RDU Airport, I can record much more smoothly, without interruptions as I enjoy looking out the window onto our hilltop oasis. So grateful for the peaceful natural beauty that surrounds us.. There have been some really creative times and deeply spiritual experiences in the midst of the challenges and this has made for a very rich time of introspection. I have more clarity about my next steps as well as the importance of nurturing a simple and peaceful way of life.. In 2017, there has been tremendous growth in reaching more people with my meditation recordings -all over the world. There are now 3 different apps where these meditations are accessed. Every day I receive notes about how they are helping folks sleep better, deal more effectively with illness and pain, cope with grieving and deepen their meditation practice. In addition to my counseling practice, this is where my energy is focused . Insight Timer now has over 3 million listeners and this free app has many of my meditations. There are over 1500 teachers on the app with thousands of meditations of many different styles. ​Insight Timer has a very active community of meditators. Guided Mind is the first app that I became connected with. Charles Feinn, the developer of this app has been a great partner these past 4 years in helping me reach many meditators. BandCamp. Most recently I uploaded all of my meditations to BandCamp. Like my Haven of Relaxation site, this is where you can pay for full access to the library of recordings. The Haven offers streaming and downloading but is not an app. BandCamp is an app and offers streaming and downloading. ​Below are 3 of my recent guided meditations from 2017--with some listener feedback and a few listening samples. These meditations and over 60 more are all available to stream and download . A meditation that guides you into an embodied awareness of your senses, your core and then into a reflection on affirmations for courage. The background music by Lindy Botha from Pond 5 is especially energizing and inspiring! "Without a doubt THE MOST AMAZING and uplifting meditation on this app! If I could give it 10 stars I would! Thank you, namaste  "
" Thank you very much Enchanting, soothing, opens my door Thank you"
"Gosh what a fantastic meditation!! This is going to be my new favorite. I loved the humming in the background- it made it sound like it was being told by an ancient seer. Gave me goosebumps. Thank you for sharing this with us!!" "A beautiful healing connection with nature, facilitating a gentle release from the repetitive thoughts and mind and reconnecting with the soul. Much appreciated." "I loved this one! I particularly loved that it was tied into ocean waves which is my favorite sound on earth. So beautiful, so peaceful! Namaste!" "I feel amazingly refreshed and replenished after this meditation. Thank you so much. This is exactly what my mind and body needed this morning." "I have listened to this so many times, I can't count. I don't think I've ever heard the end yet. I am so grateful. Thank you so much! I love the singing, and what she says, it just works!! My favorite sleep helper." One morning I woke up with an idea about recycling my stock of CD's that I no longer sell. Using them as a base, I have created meditation ornaments for your tree, altar or window. There are 3 different iconic spiritual images from which to choose. Please let me know if you would like to schedule some sessions to help you stay connected with your inner light. 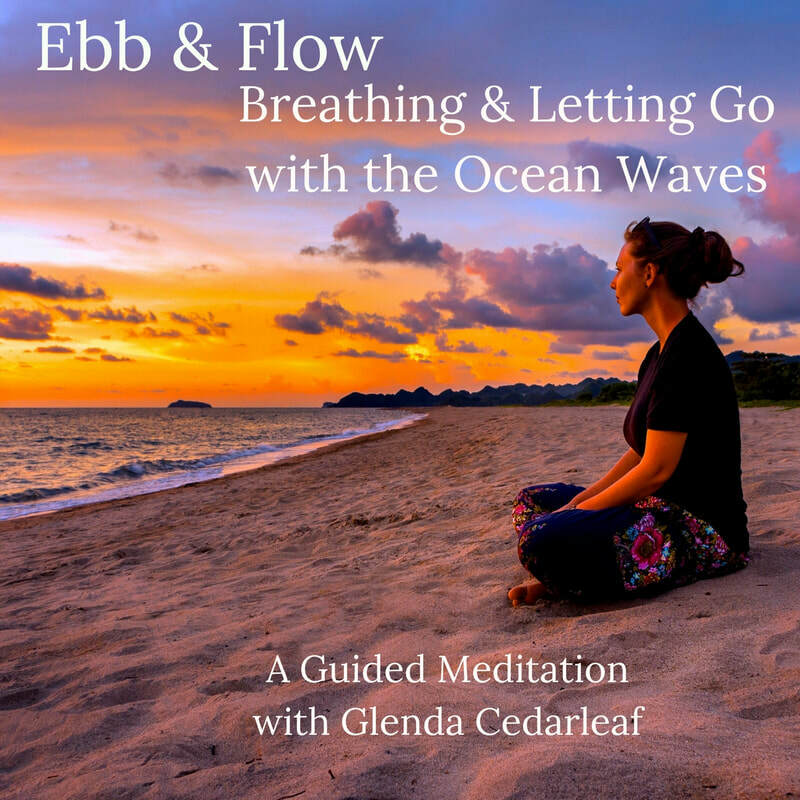 I would love to create a customized meditation audio just for you. To schedule an appointment with me, first let me know when we can do a free 20 minute consult by filling out the contact form below. ​I look forward to connecting with you!